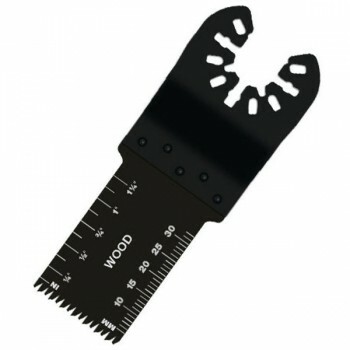 This 1 inch wide Economy Saver Quick Release blade has a precision ground double-row of beveled teeth which allow for aggressive plunge cutting into wood, sheetrock and soft plastics. Use this Japanese style blade to achieve high speed cuts. This aggressive blade will have you approaching reciprocating saw cutting speeds. The Q004-1TN Japan Tooth saw blade is applicable for very fast and very clean cutting of softer woods such as pines, spruces and fir.